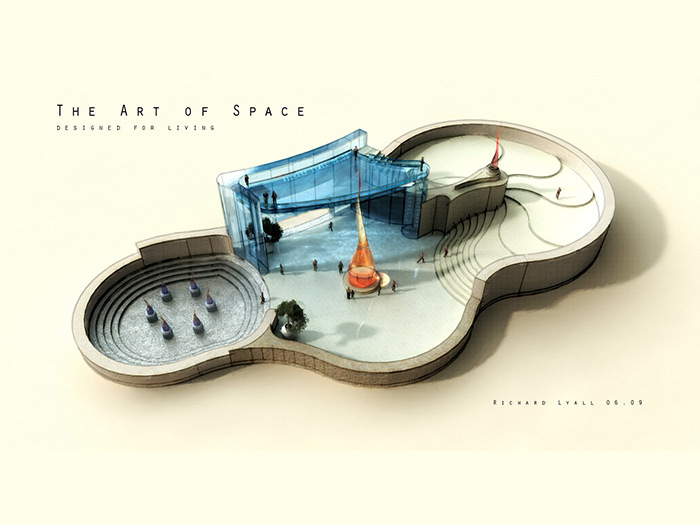 An imagined public gallery space. Modelled in Google Sketchup, imported into Vue Infinite for lighting, texturing, addition of figures and foliage, and rendering. Postwork in Photoshop CS5 and other tools.